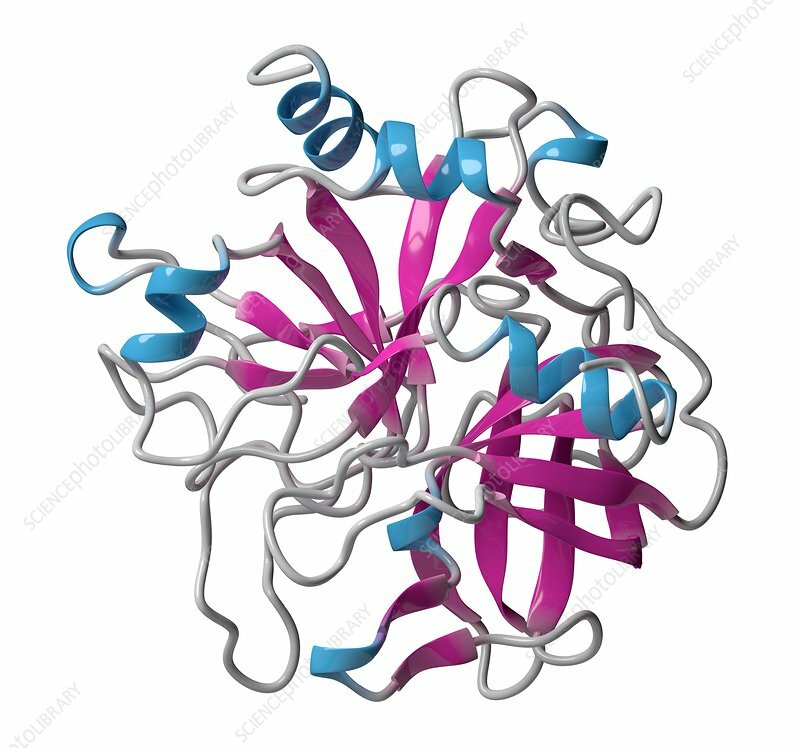 Thrombin blood-clotting enzyme (bovine). Key protein in the blood coagulation cascade. Converts soluble fibrinogen into insoluble fibrin. Cartoon model, secondary structure colouring (helices blue, sheets pink).